Black people do not have a moment to mourn before another name is added to the list of those we have buried. The 24-hour news cycle of social media inundates our psyche with imagines of Black trauma. Lack of indictments and “not guilty” verdicts will make you question whether or not what you are witnessing is real. It is a wonder we have not lost our collective minds, locked our families inside our homes, or spent hours screaming at the top of our lungs. Focusing only on our pain can lead to racial fatigue, depression, and ultimately disengagement. For the sake of our sanity and to sustain the movement, we must extrapolate not only why these incidents are occurring but what we can learn from Black trauma. This will allow us to uncover more effective and nuanced ways to dismantle white supremacy. 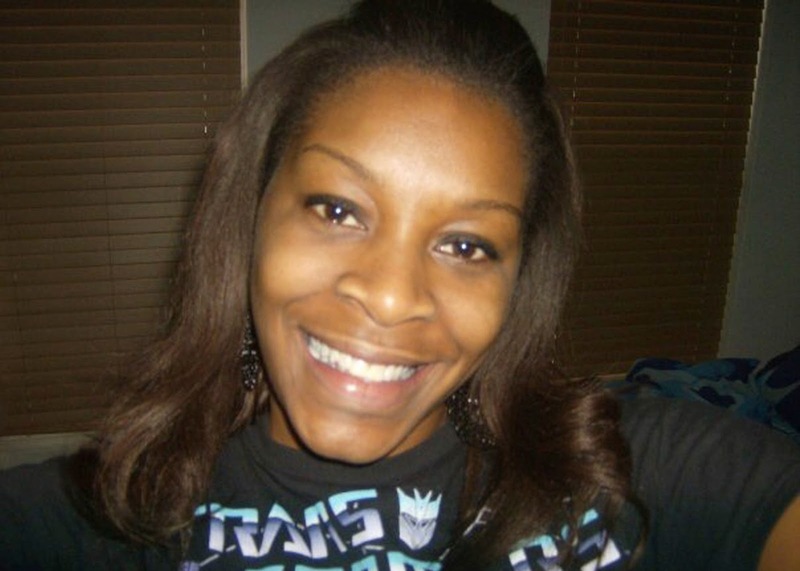 Here are five lessons we must learn from Sandra Bland’s death that can push us forward. 1. We must acknowledge our personal pain. When we begin to experience the sacred in our everyday lives we bring mundane tasks to quality of concentration and engagement that lifts the spirit… the place where we are broken in spirit, when accepted and embraced is also a place of peace and possibility. Our sufferings do not magically end; instead we are able to wisely alchemically recycle them. They become the abundant waste that we use to make new growth possible. Learning to embrace our suffering is one of the gifts offered by spiritual life and practice. By embracing her pain and openly sharing her suffering, Sandy Bland found hope. She was excited about life because she believed she was—as we all are—destined for great things. Acknowledging our pain, personally and collectively, allows us to discuss resources for healing outside of self..
For the mass media, it is much easier to accept that Sandra Bland was suicidal and mentally ill than confronting white supremacy. It places the onus of her death on her alone and dismisses any attempt to examine the white hostility she confronted. If the mass media took the time to examine the white hostility Sandra Bland confronted in the video, the question of her “agitation” or “attitude” would be erased. I would even argue mass media is not intellectually equipped and lacks the skills to have a productive conversation about whiteness. They are much more adept at focusing on Sandra Bland’s behavior, perpetuating the false narrative that she controlled her fate. Instead of confronting the white hostility clearly evident on the video, the mass media shifts the discussion to strategies Black people should employ when they encounter law enforcement. This is seemingly easier than discussing who survives when encountering law enforcement and why. 3. We must be consistent allies to black women. Consider the fact that before each of the prominent cases of police homicide have occurred, there have been women killed and we don't know anything about what happened to them. Their funerals aren't the site of activism. Their mothers don't get invited to the State of the Union or the White House as a symbol of commitment to eliminating this problem. That element of erasure sends a message that these losses of life don't matter. The standard frame for understanding police and state violence against black people has largely focused on black men, so the exclusion of black women remains prevalent. There is a long history of Black women being regulated to footnotes in the history of freedom movements when we have in fact been foot soldiers on the front lines and our sufferings have been just as substantive. We must be our own allies, but we cannot be our only allies. All people who want to dismantle systemic oppression must be willing to confront male privilege. All people who want to dismantle systemic oppression must support spaces and people who tell the stories of Black women. All people who want to dismantle systemic oppression must speak up against sexism, as well as the backlash when sexism within our movements and our communities are called out. All people who believe in freedom must commit to marching in the streets for victims whose fear of sexual and gender-based violence is just as real as her fear of state-sanctioned racial violence. 4. We must embrace the revolution. I once had the opportunity to participate in a roundtable discussion with Elaine Brown, the former leader of Black Panther Party Leader. She spoke a truth I couldn’t quite fathom in 2002. She told us our movement had not yet fully arrived. In order for a movement to catapult, Brown said, it must collide with a form of technology that government has not learned to fully control. She went on to say the Civil Rights Movement was 20 years in the making before television sent images of American citizens being attacked while marching for justice around the world, giving birth to the movement. Social media has allowed anyone with a cell phone to be an instant journalist and/or activist, taking control of the narratives of people of color in crisis away from the mainstream media. Amateurs capturing the deaths and arrests of people of color on camera is heartbreakingly necessary to prove our experiences are not a figment of our collective imagination. Too many agonizing videos and painful hashtags are dispelling the myth that these are isolated incidences of police officers gone rogue. The frequency and overzealousness prove the problem is indeed systemic. In the movie Selma, filmmaker Ava Duvernay did an excellent job of capturing King’s intentional use of media. Today’s justice leaders are strategically harnessing the power of media as well. However this is not our foremothers’ movement. It is not centralized, but it is just as powerful in its ability to galvanize people into action. For those of you who don’t think a hashtag can make a difference, tell that to over 1,000 activists who descended on Cleveland, OH this past weekend for the Movement for Black Lives Convening. This event is largely connected to #BlackLivesMatter, a hashtag turned movement co-founded by Alicia Garza, Patrisse Cullors, and Opal Tometi. Garza placed the hashtag at the conclusion of a Facebook post she wrote in response to the acquittal of George Zimmerman in 2012. #BlackLivesMatter is now a force that consists of 26 chapters across the country which are constantly disrupting communities and forcing national media outlets to cover the murders of unarmed people of color by law enforcement by using the hashtag and organizing through social media. The movement has arrived and it is being televised. It is more dynamic than we ever imagined and it is beautiful. 5. We must remember our humanity. We have a right to be angry and it should not be hidden from the public eye. People need to get comfortable with righteous anger. Images of death pull our head out of the sand and jar us into the reality that white supremacy has a strong heart beat. However, in the midst of our anger and mourning we must remember our humanity. During the fight for justice for Trayvon Martin, I looked at pictures of him with his parents to remember he was a kid, someone’s child. His parents did not welcome this unfathomable fame. I looked at these pictures to remember they are human beings missing their son’s laugh and smile and grieving memories never made. Over the past several days I have watched Sandra Bland’s “Sandy Speaks” videos more than the one of her arrest. I watch these videos to hear her voice, to remember she had a voice full of hope and honesty. I watch interviews with her mother and sister fighting to hold back tears to remember there are humans being grieving, who are missing their sister’s listening ear and shoulder to lean on. We must remember and replay the humanity of the victims more than the circumstances that lead to their death. We must do this, not for the approval of the white gaze, but to remind ourselves underneath our anger is grief, hurt, and brokenness. In order to heal we must acknowledge more than our anger, so when freedom arrives we can embrace it in fullness. Let not our suffering and anger be in vain. Let us us not forget our humanity in this revolution. Let us find the value in the valley and learn from our pain in order to progress. Crystal Tennille Irby is a #dragonslayer, #faithful (even when she is scared out of her mind), #dreamconqueror, and #loveslikeachampion. She loves God, family, food, shoes, good jeans, nice nails, fly earrings, and shoes—but not always in that order. Writing is her first love. Acting her my mistress. You can follow her on Twitter @fineprintink and on Facebook under the name Crystal Tennille Irby. You can also visit her website: www.fineprintink.com.